Marmite is the French term for a covered earthenware pot as that is how this extract from brewers yeast was originally supplied. These days it comes in a bulbous glass jar, familiar since the 1920s. 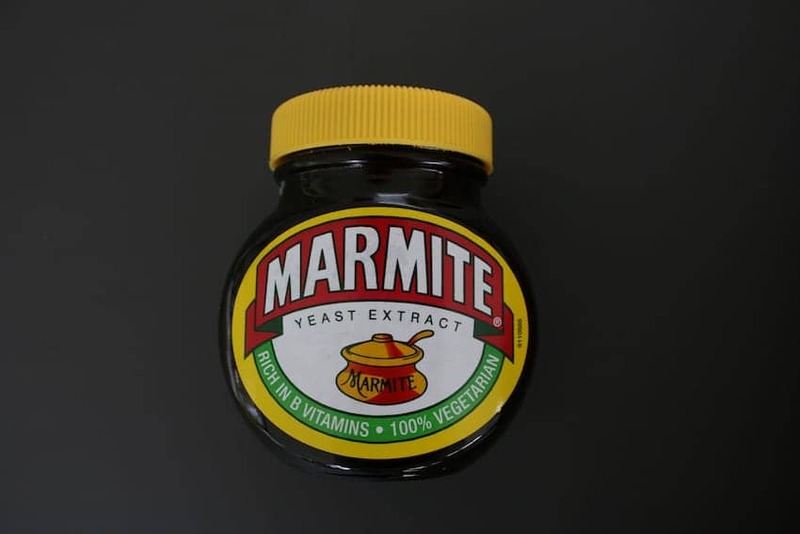 Rich in the vitamin B complex, Marmite has always had a reputation as a health food but where it divides the critics is in its popularity amongst consumers. With its distinctly strong and salty flavor, Marmite is not to everyone's taste, as the advertisements proudly convey, you either love it or hate it!